Mary K. Redmond holds a B.A. in Latin American Studies and Spanish Language and Literature, as well as a Master of Arts in Teaching from the School for International Training-World Learning. She has taught Spanish at the beginning and intermediate levels at Cornell since 1981. In addition she has also taught the "Methodology of Romance Language Learning and Teaching" course and supervised Graduate Teaching Assistants for several years. Her areas of interest are applied linguistics, the pedagogies of language teaching, second language acquisition theory, and issues of multilingualism. 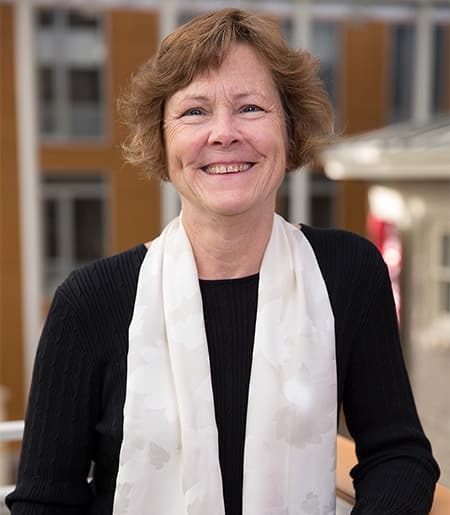 In addition she directs Cornell's intensive "English for International Students and Scholars Program" through the School of Continuing Education during the summers, and has been the instructor or director of the "English for Visiting Scholars Program" since 1984. She has served on the Spanish Language Curriculum Committee, the University Student Disabilities Services Advisory Board, the Language Resource Center Advisory Board, the Cornell International Education Network, and the College of Arts & Sciences Learning Disabilities Foreign Language Committee.